Are you ready to join the Underwater HOA? Start an Underwater HOA in your community to help educate your neighbors and inspire them to take action on climate change. 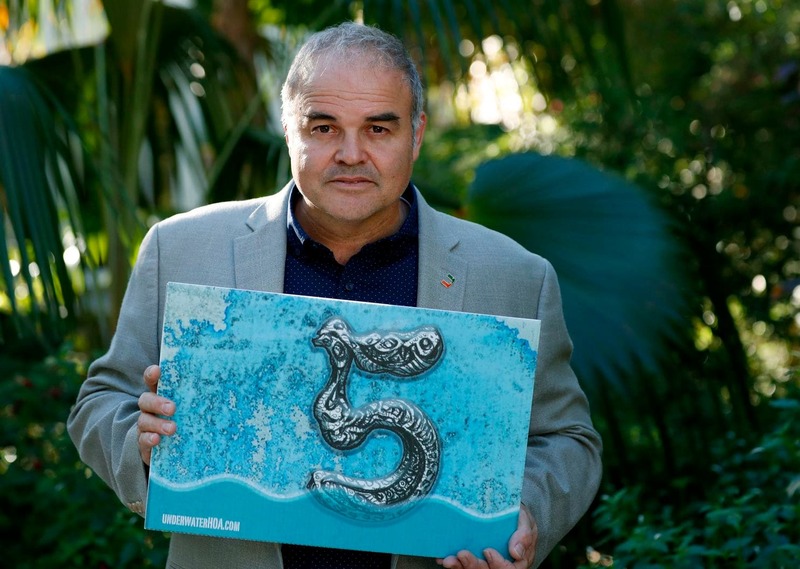 The Underwater HOA began in 2018 as a participatory public art project by acclaimed environmental artist, Xavier Cortada. The goal of the project is to create awareness about rising sea levels and engage citizens throughout Florida to take action towards solving the most urgent crisis of our times: climate change. Now, in collaboration with Mr. Cortada, FCV Education Fund and LCV Education Fund's Rock the Earth program are laying the foundation for communities to organize around these issues. We aim to build awareness and inspire action through art: bringing neighbors together to learn about how climate change is affecting their communities and supporting them as they advocate for clean energy and resilience policies from our lawmakers. Acclaimed Miami artist, Xavier Cortada, orients his science and art practice towards social engagement and the environment. He has created art installations at the Earth’s poles to generate awareness about global climate change at points in between. In 2007, as a National Science Foundation Antarctic Artists and Writer’s Program Fellow, Cortada used the moving ice sheet beneath the South Pole as an instrument to mark time: the art piece will be completed in 150,000 years. In 2008, he planted a green flag at the North Pole to reclaim it for nature and launch an eco-art reforestation effort. He has collaborated with population geneticists, molecular biologists, and botanists to develop multi-year participatory eco-art efforts to reforest mangroves, native trees, and wildflowers across Florida. His work is in the permanent collections of the Perez Art Museum Miami, the NSU Museum of Art in Ft. Lauderdale, the Whatcom Museum, and the Patricia and Philip Frost Art Museum. 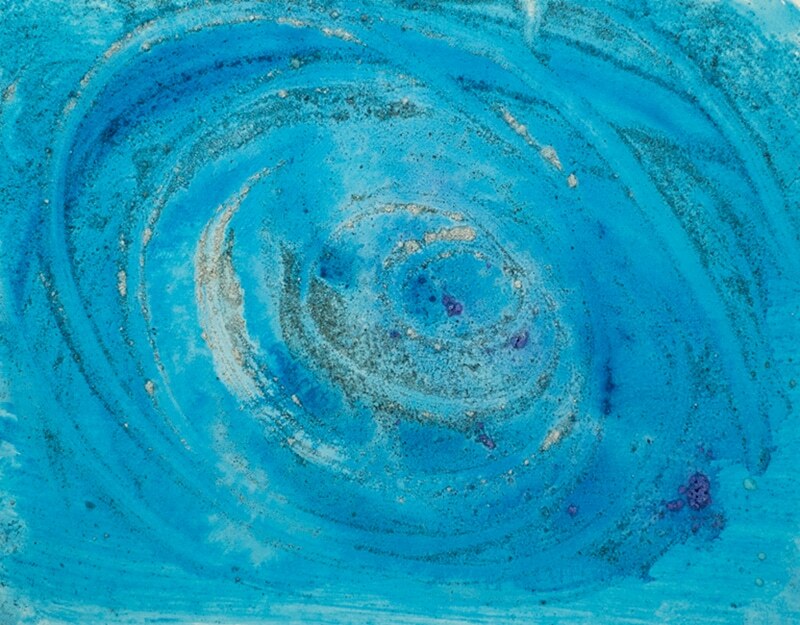 Learn more about Xavier at www.cortada.com or visit his studio gallery at Pinecrest Gardens. Step 1: If you're in South Florida, visit Eyes on the Rise, insert your home address find out the elevation of your home. Step 2: Take any yard sign you may have from the last election (or any type of yard sign) and paint it white (the color of the Antarctic glaciers). Step 3: Paint your elevation number on the right side of the sign and a squiggly line beneath it in blue to represent the rising seas. (The number on your Marker depicts how many feet of melting glacier water it would take before your home is under water.) If you don't have any signs you can reuse, contact us and we'll get one for you! Step 4: Place the sign in your front yard, take a photo of it and post that photo to Facebook and Twitter using the hashtag #UnderwaterHOA. Step 5: Sign up here to get more information about forming an Underwater HOA in your neighborhood. Step 6: Coming soon...Download our Toolkit and commit to recruiting at least two of your neighbors to work with you on forming your Underwater HOA! Get started by writing your own Letter to the Editor using these quick How-To Tips. Sign up to get involved! And for more, follow the campaign on social media with the hashtag #UnderwaterHOA. © 2018 Florida Conservation Voters Education Fund. All Rights Reserved.